At the present time, the two most outstanding mysteries of cosmology and elementary particle physics are the nature of Dark Matter and Dark Energy. One of the best pieces of evidence for the former is the anomalous shape of the galactic rotation curve for our own Milky Way. This can be measured relatively simply by observing the H I hyperfine transition of neutral atomic hydrogen at 1420.4 MHz (21.1 cm wavelength). Starting in 1998, a radio telescope for this purpose was developed by Alan Rogers at MIT—Haystack. It has recently undergone a second iteration in design and although the instrument is not sold commercially, the instructions for construction and operation are freely available from the MIT Haystack Web site. 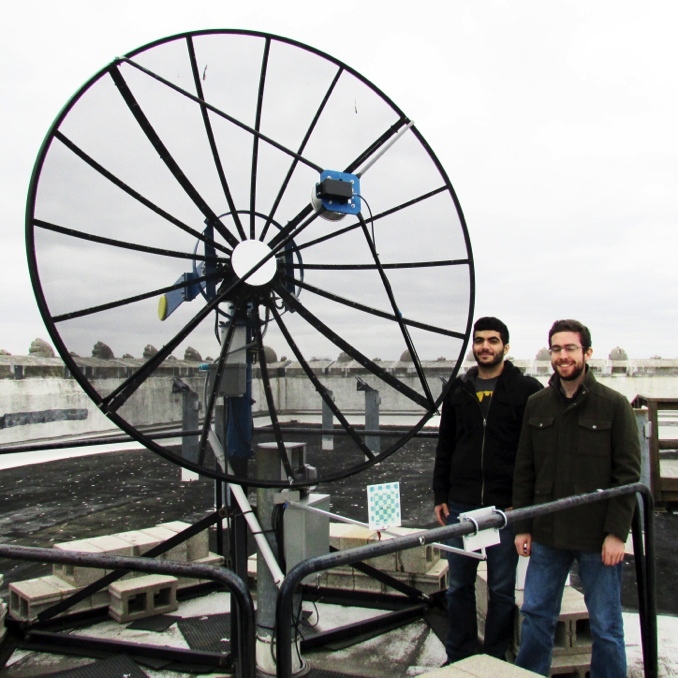 This “Immersion” workshop will describe our experience at the University of Michigan with building and operating the new Small Radio Telescope II (SRT-II). The total cost for this instrument is somewhat dependent on the environment in which it will be located but the investment will be similar in scale to the purchase of a new pulsed NMR experiment. 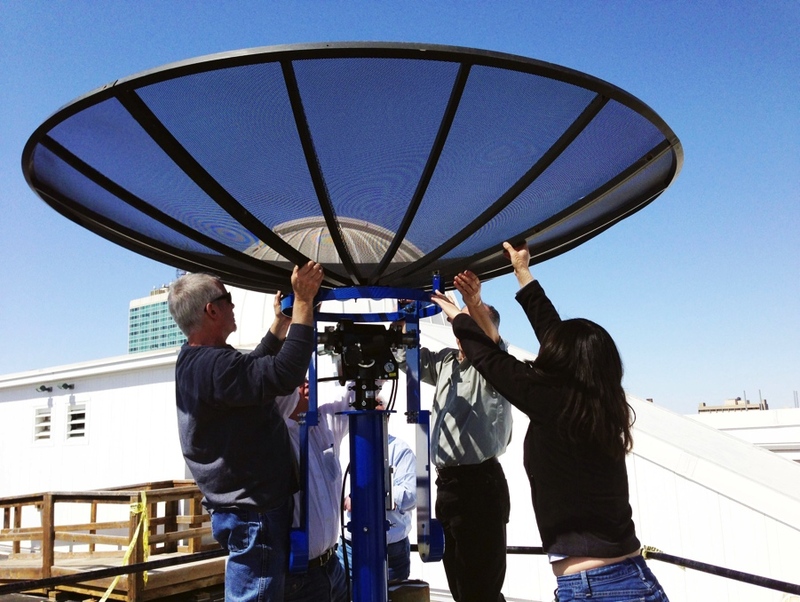 Unlike optical astronomy, radio observations can be performed without interruption during daylight hours. At the L-band frequency of the 21 cm line, atmospheric clouds are effectively transparent so local weather is also not an issue. This is not a simple experiment to implement but the intellectual opportunities to explore a subject on the cutting edge of modern science are substantial. Participants are urged to bring a laptop, notebook and sunscreen. The cost of the commercially available components required for this experiment is about $9000, spread out over more than 100 items. That includes the antenna dish, motorized computer controlled mount and the receiver electronics with a 20 MHz A/D board. However, this does not include the column on which the antenna must be mounted as well as the ancillary costs that are highly dependent on the site at which the telescope is installed. In addition, there are a number of custom fabricated parts which were made in our departmental machine shop to our own drawings. The cost to duplicate these is probably around $6000. These include a counterweighted mount structure to attach the dish to the antenna elevation shaft, modifications to various electronic enclosures and base plates as well as the antenna feed structure. For more detail, any interested participant should contact Carl Akerlof.